September 11, 2016 will be forever etched in the collective memory of the Johnson County, Kansas Sheriff’s Office. In the early morning, Master Deputy Brandon Collins conducted a traffic stop. While sitting in his vehicle verifying driver information, an intoxicated driver struck Brandon’s vehicle from behind killing him instantly. Master Deputy Collins lost his life that day serving his community. 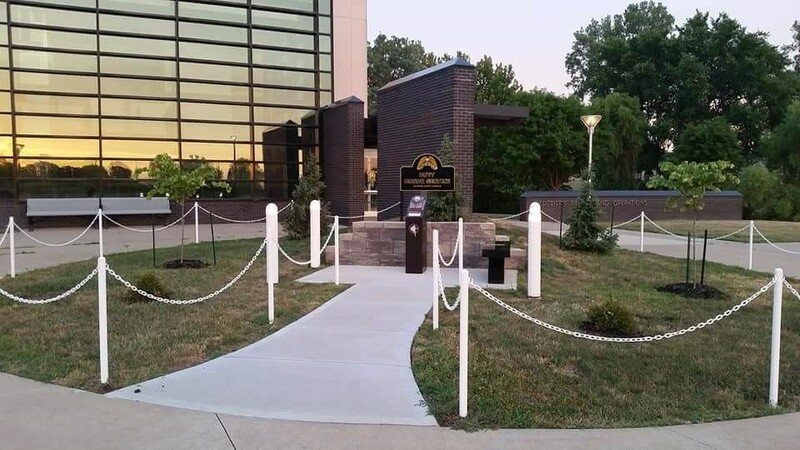 In the months following Brandon’s death, Tribute Stone© donated a memorial audio device to pay homage to his memory. This device layers sound and information to tell the important story of not only Brandon’s death, but his life as well. This was placed temporarily in the Operations Building of the Sheriff’s Office, but a more permanent location was desired in order to pay proper tribute. Through the course of fate, several deputies were making a presentation at a local high school speaking to the Public Safety Academy students. The students in this program have committed to a life direction of public service through law enforcement and fire rescue. 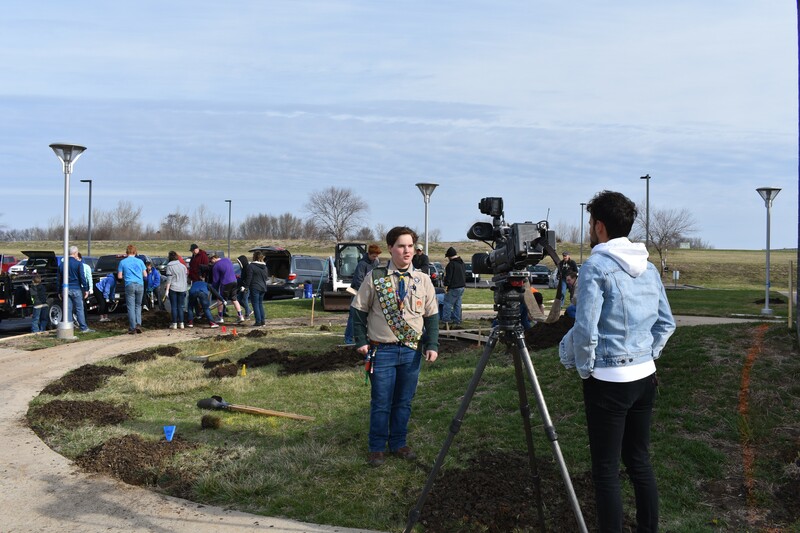 One of the students Luke Gwartney, approached the deputies and asked if the Sheriff’s Office would have a project he could work on for his Eagle Scout rank. Luke began the Scouting program in the 1st grade with Pack 3084. He is now part of Troop 83 in Olathe, Kansas and is entering his junior year of high school. Luke has demonstrated dedication and commitment to the Scout tradition of “Service, community engagement and leadership development” as he makes his way to Scouting’s highest rank, Eagle Scout. 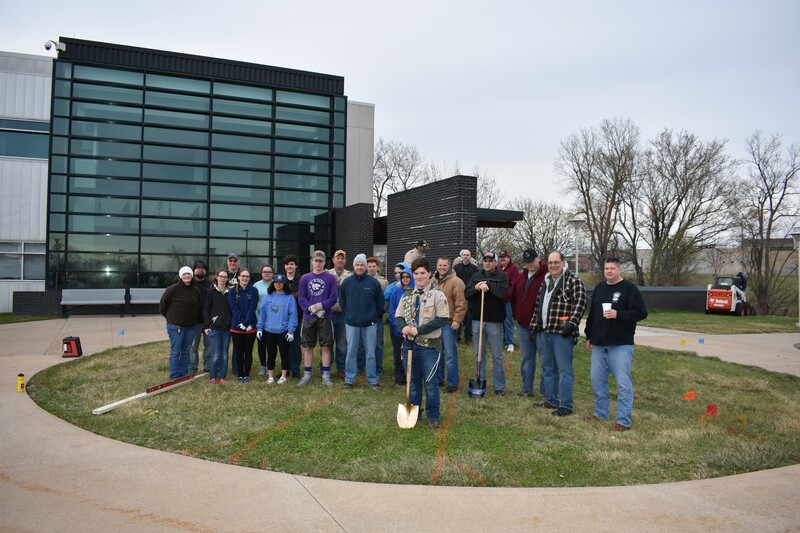 The initial discussions on a new memorial led to a grassy area in front of the Operations building. Luke went to work on the design which included a granite bench, landscaping, lighting and the Tribute Stone that had been previously donated. A friend of Troop 83 took Luke’s design and used computer aided drafting technology to put the finishing touches on it. Luke’s project also included securing funding for the memorial and he was able to help raise more than $8,000 for the project.